May! 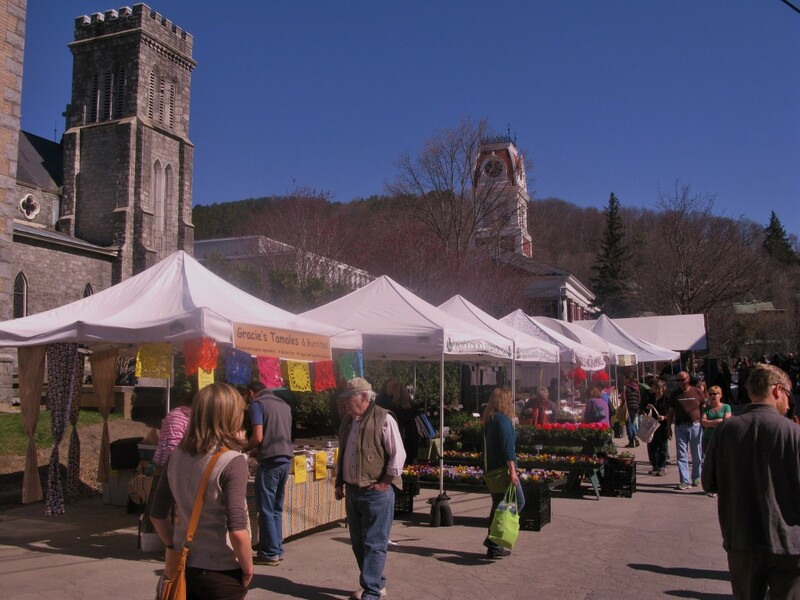 It’s Farmers Market Time In Vermont! 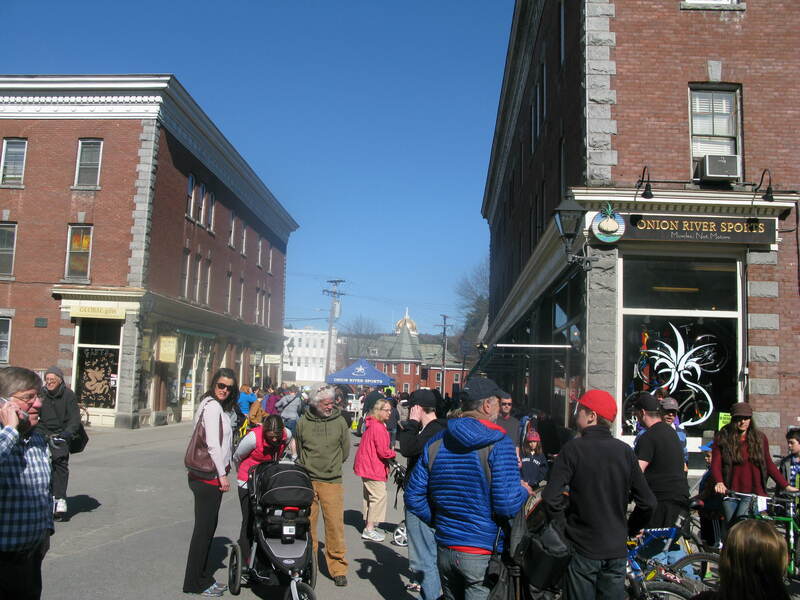 Today is the first day of the Montpelier outdoor Farmers Market and the day of the very popular Onion River Sports Bike Swap. To top it off, the sun is out and the thermometer is almost hitting 70. The streets of Montpelier, the smallest state capitol city in the U.S. are jammed with people, mostly locals, out for the first time since last October. It is a festive atmosphere, as are most Saturdays throughout the summer all across Vermont. On market day it’s easy for locals and visitors to meet the artisans, farmers, and specialty food makers who set up in downtown Montpelier to share their stories and sell their carefully crafted products. Bonafide Tours features some of the farmers who travel sometimes over an hour to the market such as Laini Fondiller of Lazy Lady Farm, one of the pioneers of artisan cheeses in Vermont. There is George from Dog River Farm who we visit on the Wines and Covered Bridges tour. And always at the market are Lila and Dave, who, with their children, own Tangletown Farm, a diversified family farm which is featured on the Bonafide Tours Family Farms and Cheese Trail tour of Vermont’s Northeast Kingdom. 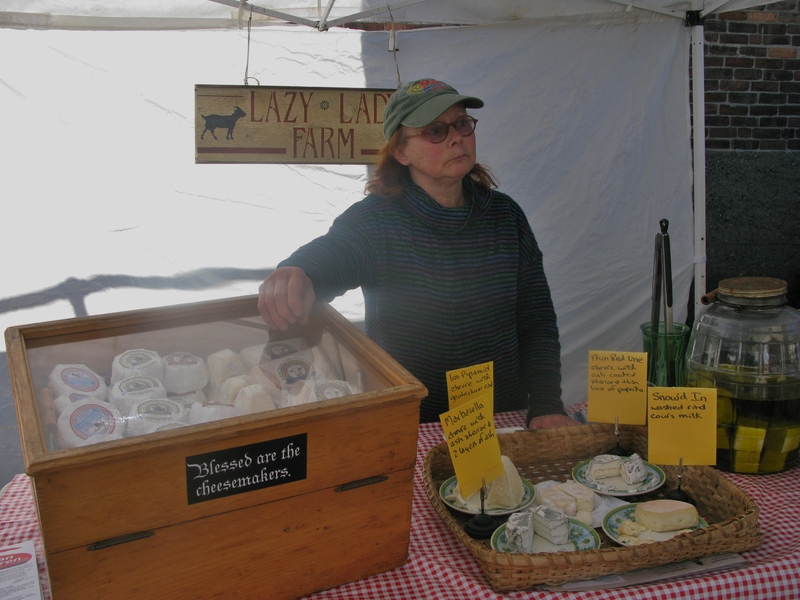 Laini Fondiller, owner of Lazy Lady Farm with her specialty goat and cow cheeses. They are the best! Montpelier on Saturdays is a special place; open, relaxed, interesting, featuring delicious specialty foods and beverages crafted in Vermont.